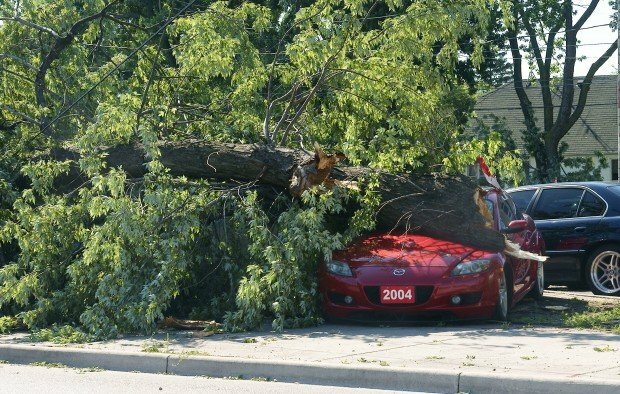 This article is 2846 days old. UPDATED: Severe storms moved through the Windsor area last night. 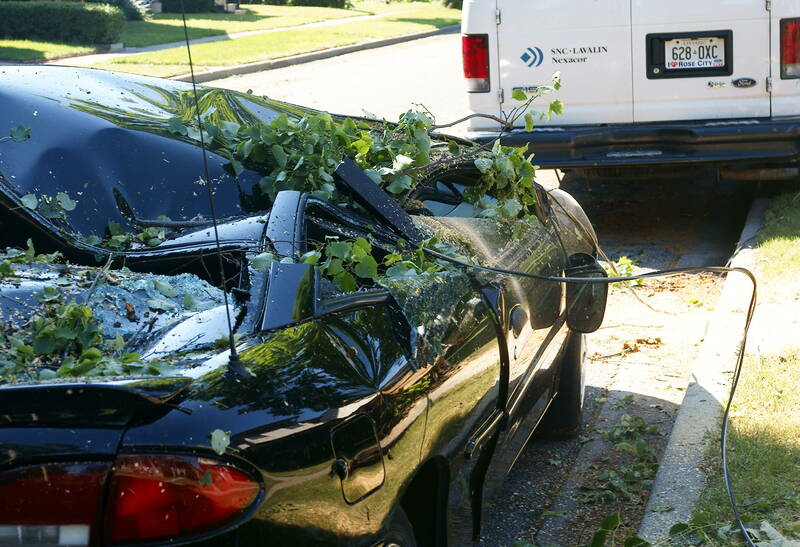 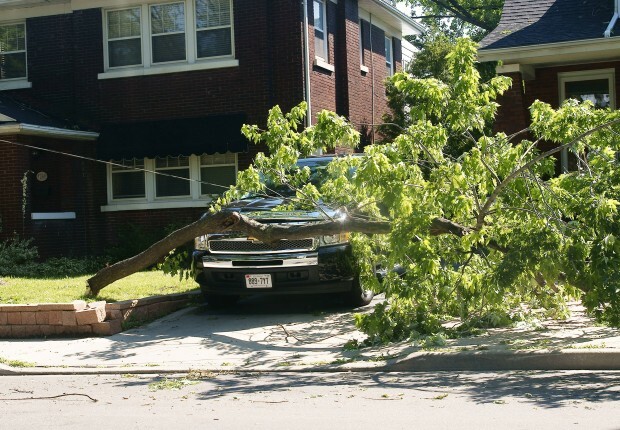 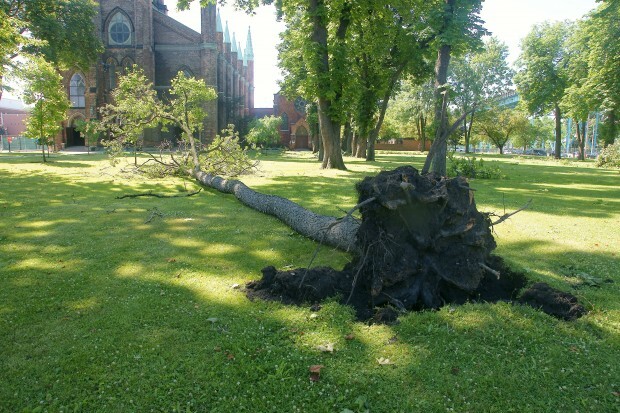 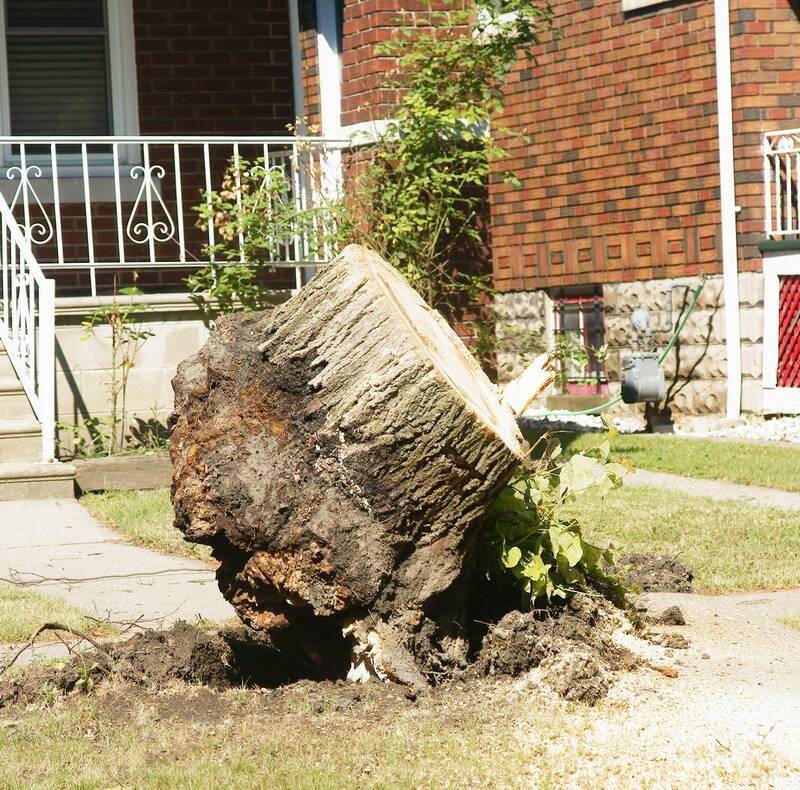 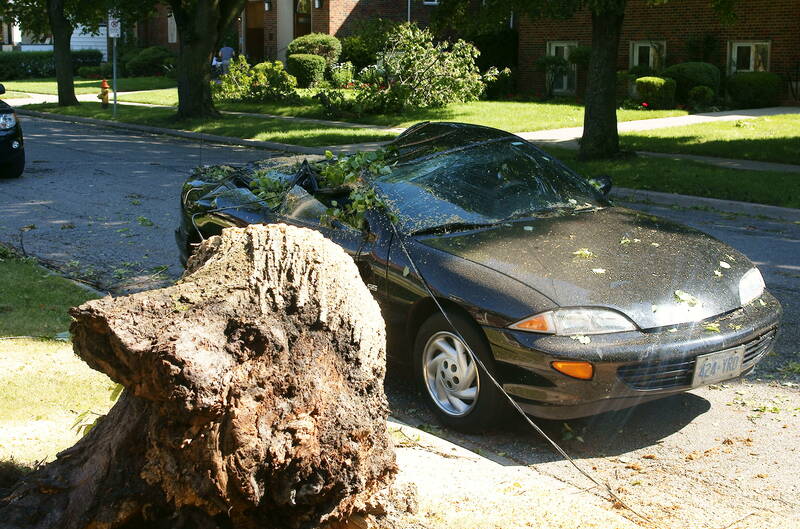 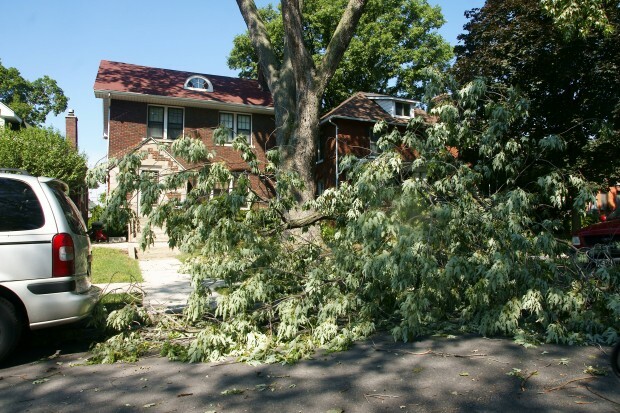 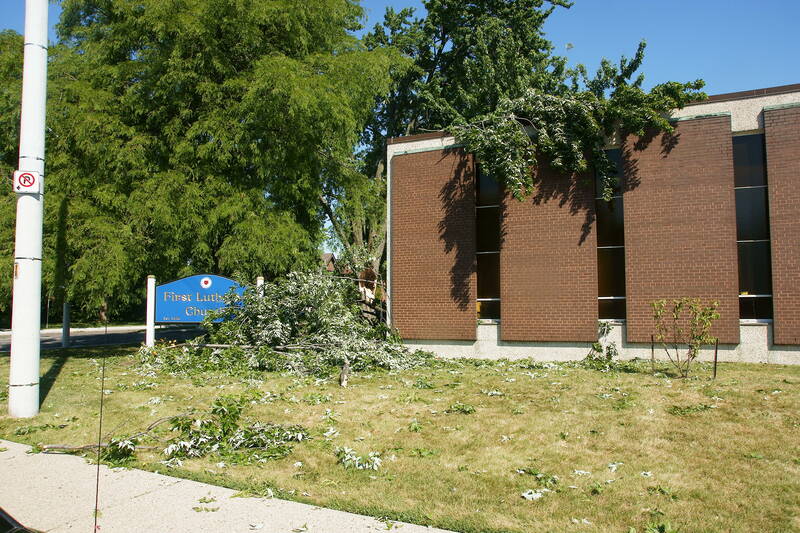 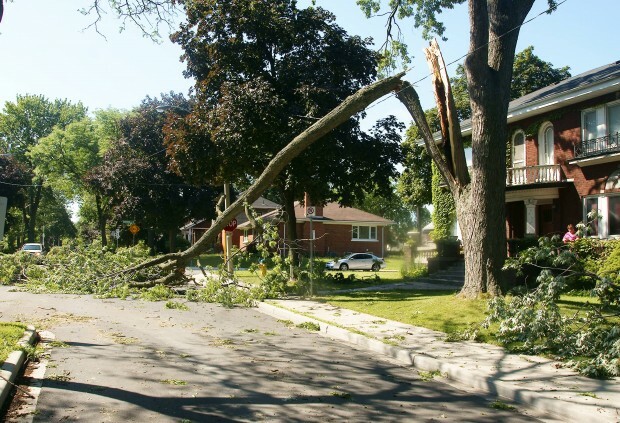 Numerous areas of the city were without power, and hundreds of trees came down as high winds, hail and torrential downpours were reported in the area. 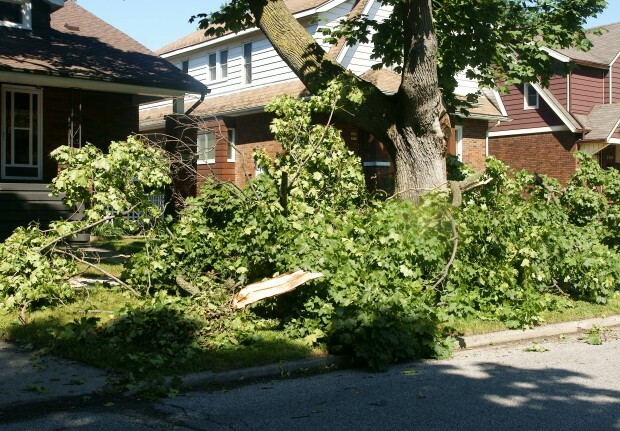 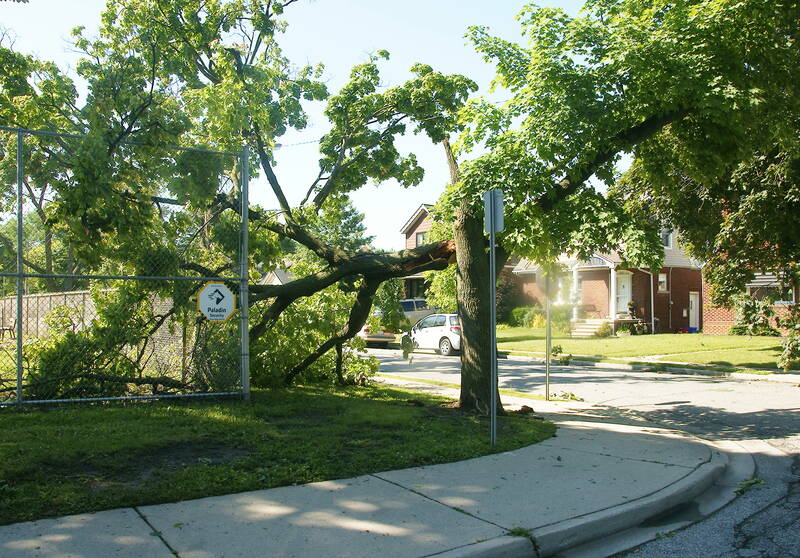 Several windsoriteDOTca readers reported flooded basements, trees down in their neighbourhoods and power lines shooting sparks into the air. At least one small building fire was directly caused by a lightning strike from the storm. Citizens, forced outside by a power outage, took to the intersection of Erie Street W. and Bruce to stop motorists from driving over downed power lines, and homeowners on Edinborough Street stood outside, amazed that a hydro transformer was sitting on their roof. 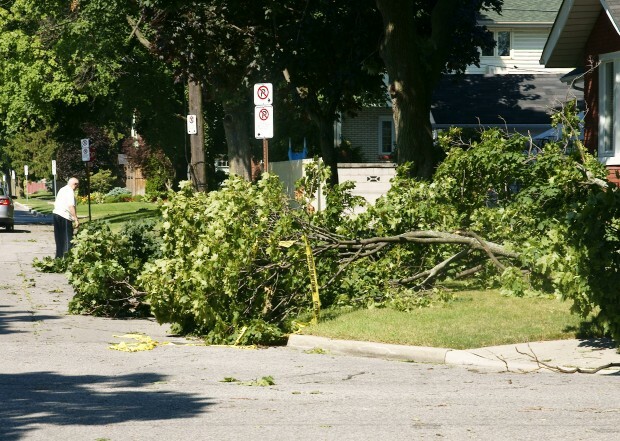 EnWin utilities estimated around 16,000 customers were without power as storm clouds rolled out of the area last night. See our earlier story for PHOTOS.